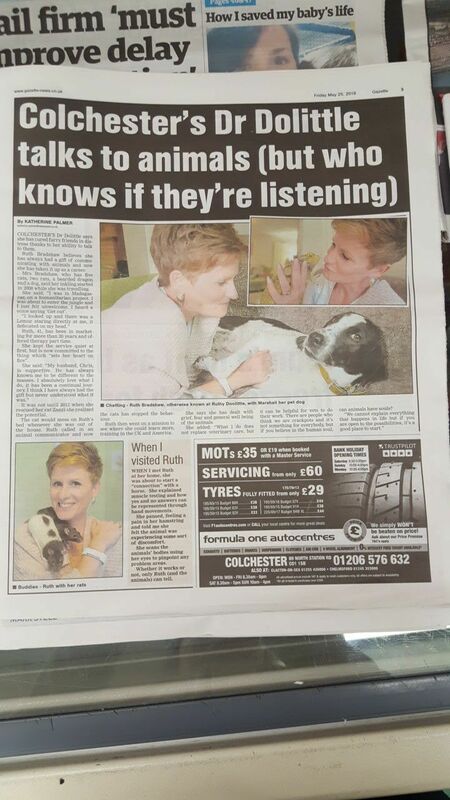 How wonderful to see in the local paper “Colchester’s very own Dr Doolittle”. 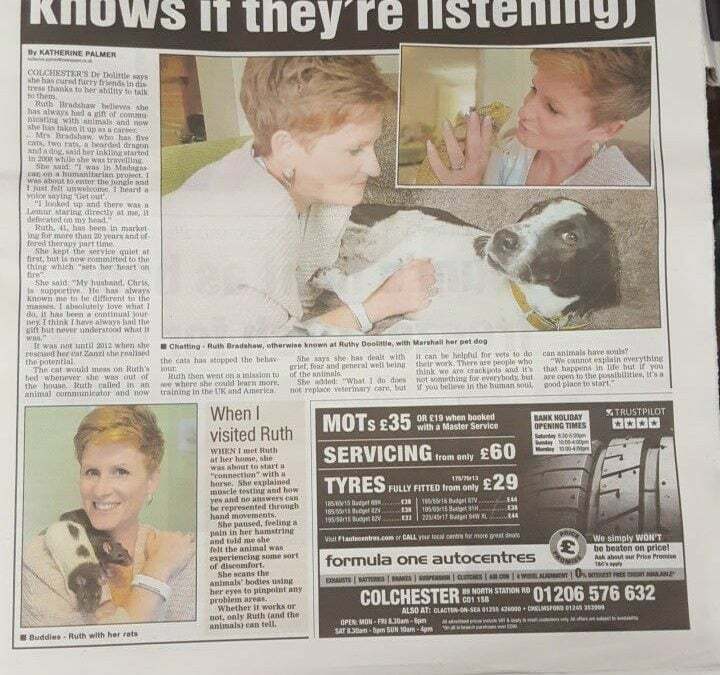 After the Colchester Gazette saw I was on national TV they wanted to write a little piece on my work as an Animal Communicator. I was delighted to host a quick photoshoot and interview with one of their journalists and their photographer, a fellow dog lover and like our household had rescued their furry friend from an unsavoury life. Most of our animals were really up for a photoshoot apart from two of the 5 cats who are a bit more reserved, you can read the article online here. Marshall (our rescue dog) was a bit unsure of the camera in his face, as you can see for his little lip lick and tiny whale eye. 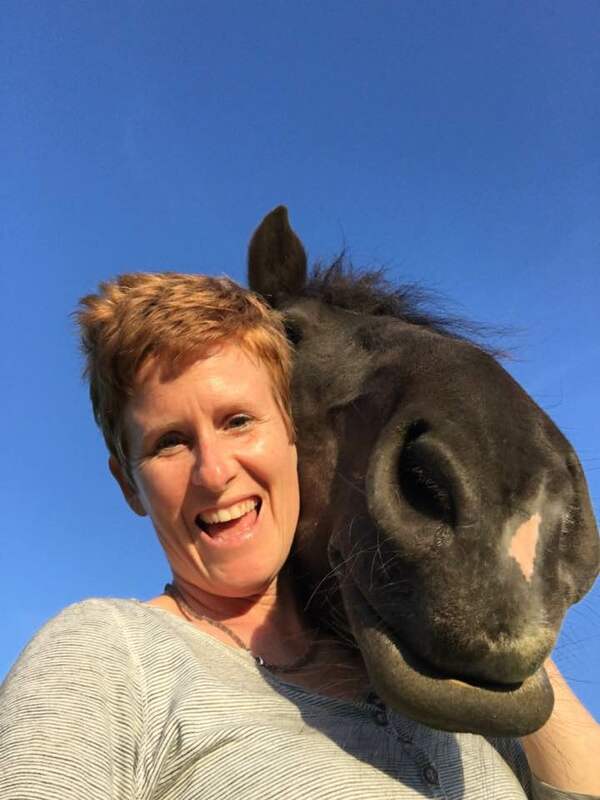 The article talks about my work as an Animal Communicator and was really well put together, in my opinion. It was great to have such great exposure about some of the work that I do and how it can help animals.